A Group تصویر. . Wallpaper and background images in the ارے Arnold! club tagged: hey arnold! 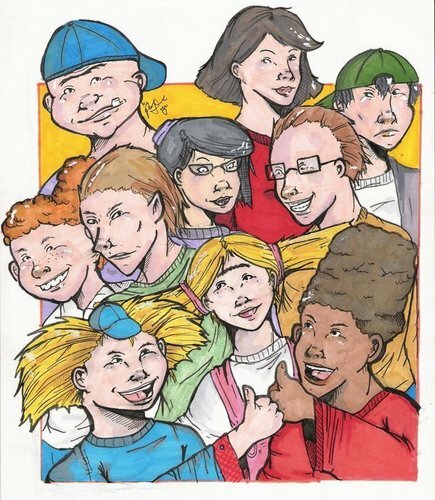 fan art arnold helga phoebe gerald eugene sid harold rhonda. Unusual style...very interesting...at least I could tell who they were!